How to slow down the auto flip speed for Page Turning for PDF? Q: I converted a novel in PDF format to page turning book with Page Turning for PDF, however when I applied the auto flip function, it turned pages so fast that I can't read the book carefully. How can I slow down the flipping speed? A: To meet per need, Page Turning for PDF allows user to customize the speed of auto flipping page. So every one can define the related settings according to per requirement, for example, a lower frequency of flipping page is more proper when reading a novel. 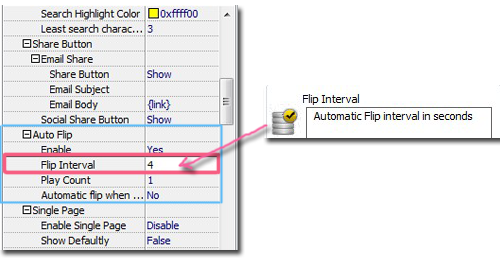 It is quite simple to change the auto flipping interval, you can follow the steps as below to realize this. Step 1: Run Page Turning for PDF and import target PDF. Step 3: Click "Apply Change" button to confirm the change.